Market analysis tools, training, and support software combine to create truly robust and results-oriented trading platforms. 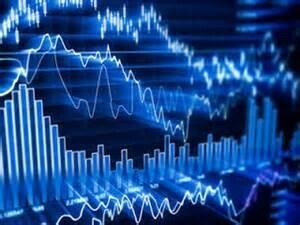 Understanding the key components of your Forex account can help you to trade more effectively and with lower risk. Introductory education – When working with your new online trading account, you’ll want to begin by defining a few key concepts. First of all, any good Forex account online should have a comprehensive glossary and educational section – if it doesn’t, you may want to investigate other trading brokers/software providers. Forex trading requires an informed and intelligent approach, and defining who you are as an investor is important. Are you a hedger or a speculator? Start by understanding what your intentions are and you’ll make better decisions during trading sessions. Learn where the major exchanges are located (New York, London, and Tokyo) and which types of participants exist within the market you’re investing with. Once you have a fundamental understanding of what happens within the currency markets and which activities drive specific results, you’ll have the confidence to trade. Market analysis tools – Take advantage of the on-board market analysis tools that can help you make timely, educated decisions when investing in the currency market. Understand the difference between technical analysis and fundamental analysis, money supply, inflation, economic releases of information, trend lines and channels, and other relevant key indicators. If you don’t currently understand the fundamentals of the Fibonacci sequence, you’ll likely have an opportunity to see first-hand how this ancient mathematical formula delivers key insights into various levels of support and resistance in the market. Risk Management – The best online Forex accounts will provide you with all of the tools necessary to mitigate unnecessary risk. While trading currencies always carries an inherent risk, there are steps that you can take to prevent foolish risk. The uncertainties of the market are real, yet all investors know that risk equals opportunity. Those with no appetite or tolerance for risk can invest all of their money in online Certificates of Deposit (CDs), yet the returns aren’t even enough to keep pace with inflation. Leveraged trading can add another level of risk to currency trading, so understand that even a small movement in the market against your position can cost you dearly. To minimise the overall risk, ensure that you understand how your account’s ‘stop loss order’ works. Most accounts enable you to enact breakeven stops, time stops, or trailing stops to help you manage losses. Know how to use these to protect yourself financially. Use your account to visually identify volatility – Unless you are an experienced trader, you may want to limit your currency trades to times of the day that are generally less volatile. But how can you possibly know when these times historically hit? This is where using and understanding the built-in market tracking software in your Forex account is vital. Mornings in New York are often the most dangerous, as the afternoon session in London is drawing to a close and extreme swings in prices are more likely to occur. Make the most of your Forex account by learning when to invest and when to sit aside. Volatility isn’t always a bad thing, though,as significant gains, as well as losses, can transpire during these wild times of the day. Learn investment strategies – Whilst no Forex trading platform can truly be set on autopilot, there are several which enable you to set it and forget it, and work within a narrow operating range of risk tolerance. If you want to make serious returns though, you must learn to trade using several investment strategies. Your account will help you to maximise these strategies by tailoring your inputs and controls to guide your own personal monetary policy. Understand current events – Whilst news stories involving the latest “dog accidentally drowns” story are well publicised, there is no replacement for straight-to-the-point global news coverage that can help you to make more informed and safe investment decisions. A free Forex trading account must connect you with relevant news stories that involve political, humanitarian, cultural, or natural events that may drive the value of a specific currency in one direction or another. Forex traders must position themselves as incredibly wired-in to the global news cycle, as their profits directly depend upon it. A free online Forex account offers so much more than a simple interface with which to invest. A robust and supportive account will provide education, market analysis, risk mitigation techniques, 24/7 global news, advanced analytics, charts and graphs, and unparalleled customer support. A truly leading-edge option today is the One Financial Markets free Forex account – try it today and see why it has helped traders like you to reap incredible profits for nearly a decade.